The Days Inn Pueblo is conveniently located just off I-25. Our location allows easy access to the area parks, golf course, historical attractions and our unique downtown shopping district. 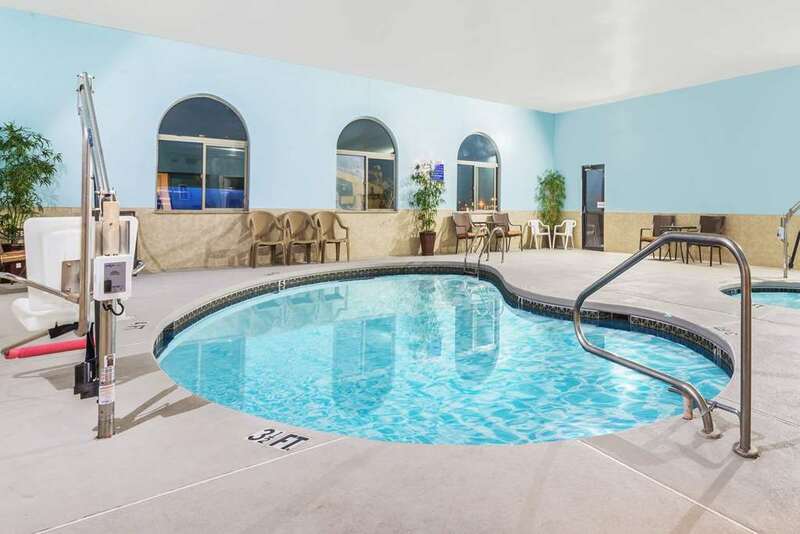 The Days Inn Pueblo is an ideal selection whether you are attending one of our festivals, participating in a golf or ball tournament, swimming at the water park, visiting the many historical sites, or just relax after a day of driving. The business traveler will find that the Days Inn provides for their needs as well. We offer free high speed wireless internet access and work table every room, free continental breakfast, 24 hour coffee in the lobby and cable TV with 24 hour news. Whether you are traveling for business or pleasure, the Days Inn Pueblo looks forward to being your host during your stay.